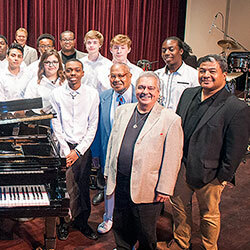 The Jazz Mentors, a teaching and performing ensemble consisting of some of Chicago’s finest jazz musicians, give performances and master classes in Chicago Public High Schools. A central component of the Jazz Mentor Program is the selection (through audition) of the Ravinia Jazz Scholars, a group of Chicago’s most talented student musicians. The Jazz Scholars receive intensive year-round training by the Jazz Mentors, as well as scholarships and opportunities to perform. Learn more about this program. 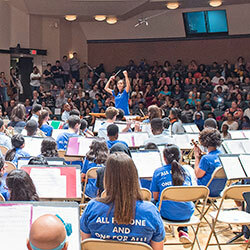 Ravinia’s vision of an intensive and transformational orchestral music education program, fosters social development through exceptional music training for 3rd-8th grade students in Chicago and Lake County public schools. Inspired by the influential El Sistema model, students in the program receive daily ensemble and orchestral instruction in their instrument. 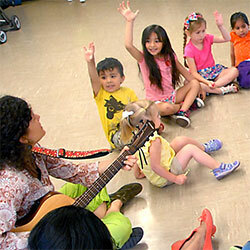 Sistema Ravinia’s first site was launched at Catalyst Circle Rock School located in Chicago’s Austin neighborhood. With the success of the Circle Rock site, Sistema Ravinia expanded to Lake County in October 2015 and uses our own Bennett Gordon Hall as a program site.